buggalcrafts | Crafts from my heart to yours! 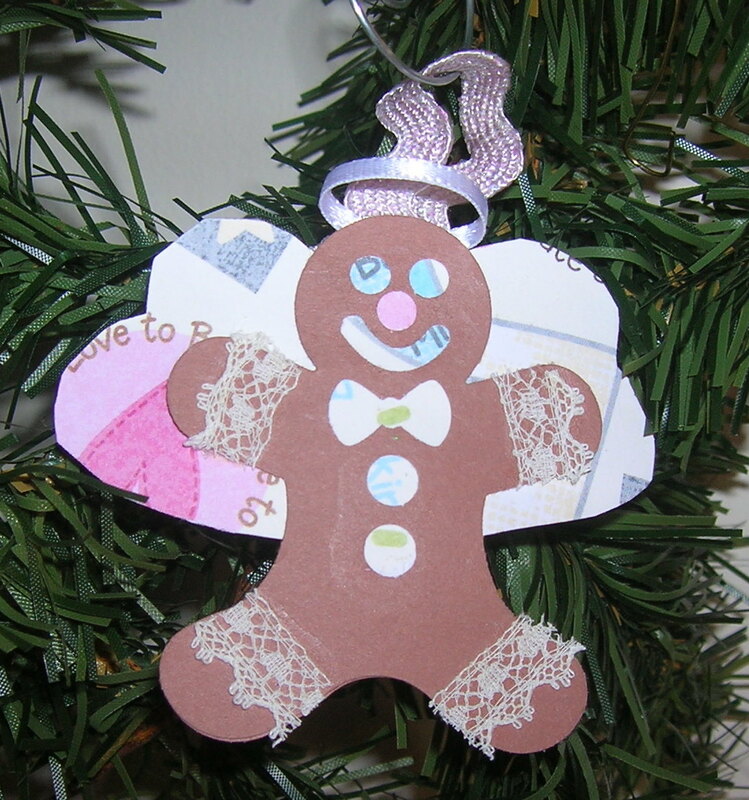 Use as gift tags, package decorations, paper tree ornaments, string them together to make a paper garland for tree or mantle/etc., use on a handmade greeting card, great for a kid’s craft, scrapbook, & more….. I love punch art and snow globes so why not compare the two? This is a super easy project to do – the hardest part is to glue down the snow flurries without getting glue “all over” the place! If u have any questions please let me know. Hope u enjoy the project!!! Other Assorted Punches: deer, moose, tree, etc. Punch mason jar shapes in shades of blue. I like to crimp the neck of the jar to give it a more realistic appearance. Next cut strips of paper about 1 1/2″ wide and punch the “snow drifts”. I like to vary the depth of the snow. I also punched some snow drifts long wise for the jar to lie on it’s side. Use large wave edging scissors to give the snow a wind scalloped appearance. Glue the snow drift to the jar front. Punch small/mini shapes – trees, moose, etc. in plain and patterned cardstock. This is a great way to use up paper scraps. 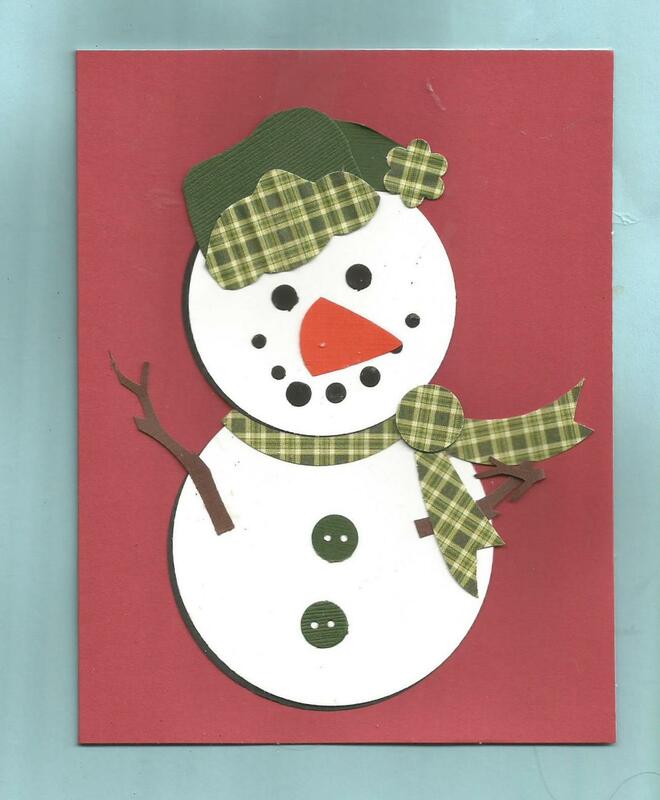 Crimp brown paper and then punch select shapes (ex: trees, snowmen) to glue behind the colored shapes to create a 3D effect. Lay out designs and then glue them down. Last glue the tiny white/cream/silver circles to the exposed blue to create a snow storm. Add one or two mini snowflakes for a special accent. Here are some tips for making ur “snow globes”! Fir Trees: Trim trunk from green/patterned fir trees. Glue a brown tree to the back of the green tree. To create more depth use a second brown tree behind one of the “firs” if using them as a pair. Glue the thicker tree to the edge of the thinner tree. Trim Fat Tree to Cone Tree: Trim trunk from the tree. Glue a brown tree to the back of the green tree. When dry trim the tree into a cone shape. Bare Branch Icy Trees: Punch brown trees and then glue the white trees on top of the brown trees. Let dry. Trim the trees to fit snow globe. Christmas Tree: Trim trunk from the green tree and glue a brown tree to the back of the green tree. 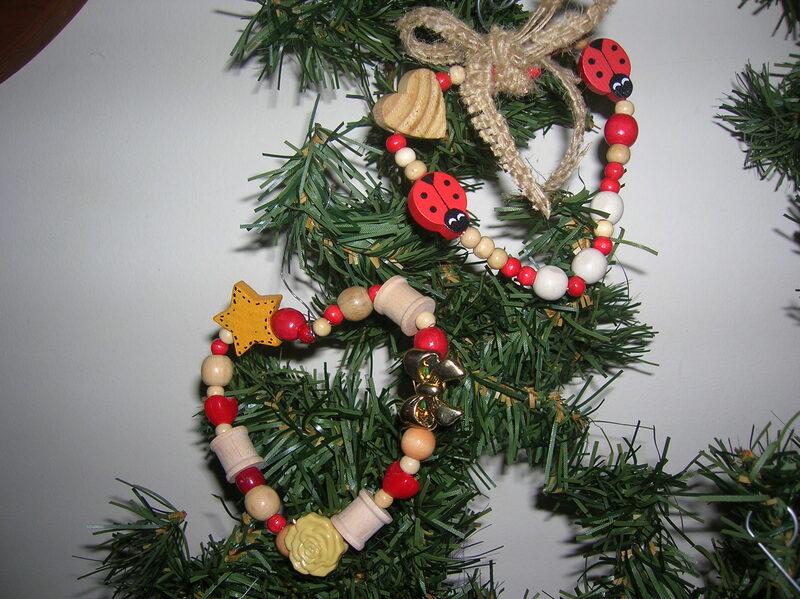 Trim candy canes to fit the tree and then glue on tree along with the “ball ornaments” (circles). Snowman #1: Use a cream snowman on a white snowdrift to set the snowman off the best (and vice versa). Trim the arms off the white/cream snowman and glue the brown snowman to the back. Trim excess paper off hat and glue to snowman’s hat. Add eyes with a black marker. Cut a tiny carrot nose and glue on face. Trim a mini heart punch to fit the snowman and glue in place. Or add buttons to the snowman with a marker. Snowman #2: Trim the arms off the white/cream snowman and glue the brown snowman to the back. Trim the hat to roughly a round shape. Glue small circle to the snowman’s head. Add eyes with a black marker. Cut a tiny carrot nose and glue on face. Trim a heart punch to fit snowman and glue in place. Or add buttons to the snowman with a marker. Reindeer & Moose: Trim the antlers off the deer & moose. Attach the crimped antlers to the back of the animal. Attach a small red rhinestone or the glittery red circles provided to face of the reindeer. Glue brown circles behind the glittery red circle to make the nose stand out. Penguin: Trim the feet and bill off the black penguin. Glue the yellow penguin behind the black one. Glue stocking cap to head of penguin. Other Animals: Glue a crimped brown shape to the colored shape. Allow to dry then glue to snow. Gingerbread Cottage: Trim icy roof from glittery cottage and glue on top of gingerbread cottage. Trim candy canes and glue on “path” to the cottage. Glue smoke puffs in place or use snow. Snow Flakes/Circles: Use the mini snowflakes to accent snow globe – one per globe. Use the tiny circles to create a “shaken snow globe snowstorm”. Snow Scene on a Homemade Card: One cute way to use ur snow globes is to spread the scene out over 3 snow globes and then use the set on the front of a homemade card. Super cute – super easy punch art project for Halloween!!!! Use as a holiday decoration or on a gift tag. Also very cute for a Halloween greeting card!!! Eliminate the jack o’ lantern face and make a cute pumpkin for fall! Assemble materials – punches, paper, glue stick, scissors. Using a Martha Stewart Punch Around The Page Jack O’ Lantern Face punch punch a face in the orange cardstock. Punch a rough jack o’ lantern using a 3″ circle punch. You can also use an oval punch to create a tall jack o’ lantern. Punch a yellow circle with a 2″ circle punch. Use an oval punch to rough out the bottom and the top of the face. Trim the end off the green vine made with a Whale of A Punch Funky Spiral punch. Crimp the cut off piece to use as a stem. Smooth out the edges of the jack o’ lantern. Trim the yellow punches to fit the ornage faces. Punch leaves for the pumpkins with a oak leaf punch. Use a small circle punch to make a green circle. Glue the yellow backing on the back of the faces. Glue the stem and vine to the back of the jack o’ lantern. Use the green circles to stabilize the vine and stem. Glue the leaves to the front of the jack o’ lantern face. 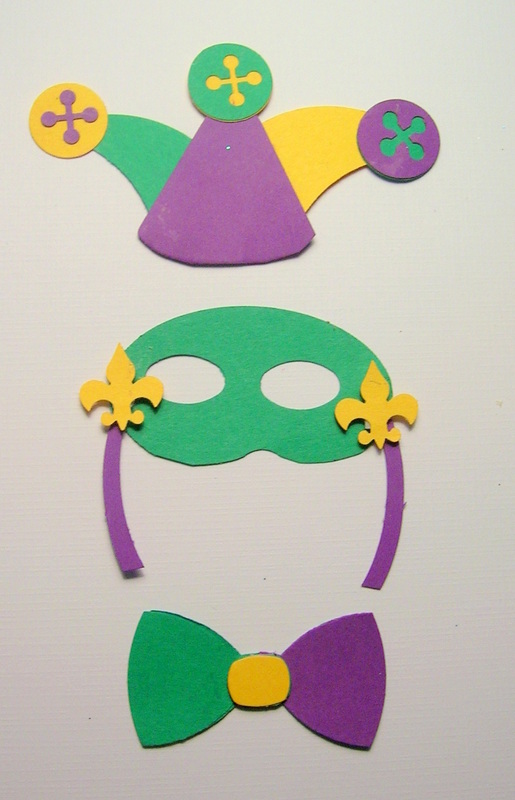 This makes a 2” Mardi Gras half-face mask that is perfect to decorate a handmade card, scrapbook page or other paper crafting item. As punch art items are hand-punched and trimmed each will be unique. And as with everything – practice will improve the outcome of your project. Gather materials needed. Punch 2” oval and two fleur-de-lis. Mark eye holes on the 2” oval punch out with a marker. Note be careful to use only a small dot as the marker can bleed through the cardstock (as you can see in my photos). Center the small oval punch over the marked eye holes and punch. Use the small circle punch to make an indent for the nose. Trim sharp edges from the nose bridge. Glue ribbon’s to both sides of the masks. Attach the fleur-de-lis punches over the ribbons with a thin strip of adhesive foam tape. Your mask is now ready for your scrapbook page or greeting card. Punch mini holes in the edges of the mask and use twine as “ribbons” to tie the mask in place. Glue self-adhesive rhinestones, jewels or pearls around the edges of the mask. 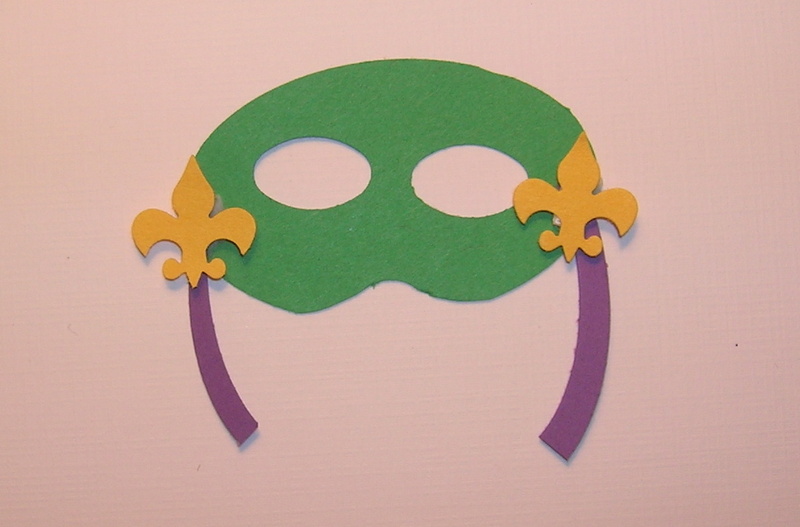 Instead of using fleur-de-lis to decorate the edges of the mask use mini masks, diamond shapes, etc. Decorate the mask with a paint marker or scrapbook pens. Punch an oval from each color and then a fourth mask to use as a base. Stack the three masks and then cut them in thirds. Glue the right end of one color on the right end of the base mask. Glue the middle of a second mask to the middle of the base. Lastly glue a left end on the base mask. Allow to dry and the punch the eye holes. Repeat using the rest of the mask pieces. Gather materials needed. Punch 2” oval and 2 fleur-de-lis..
Punch or cut two “ribbons” . Glue the ribbons on both sides of the mask. Then attach the fleur-de-lis with a thin strip of adhesive foam tape. Now your mask is ready to use! 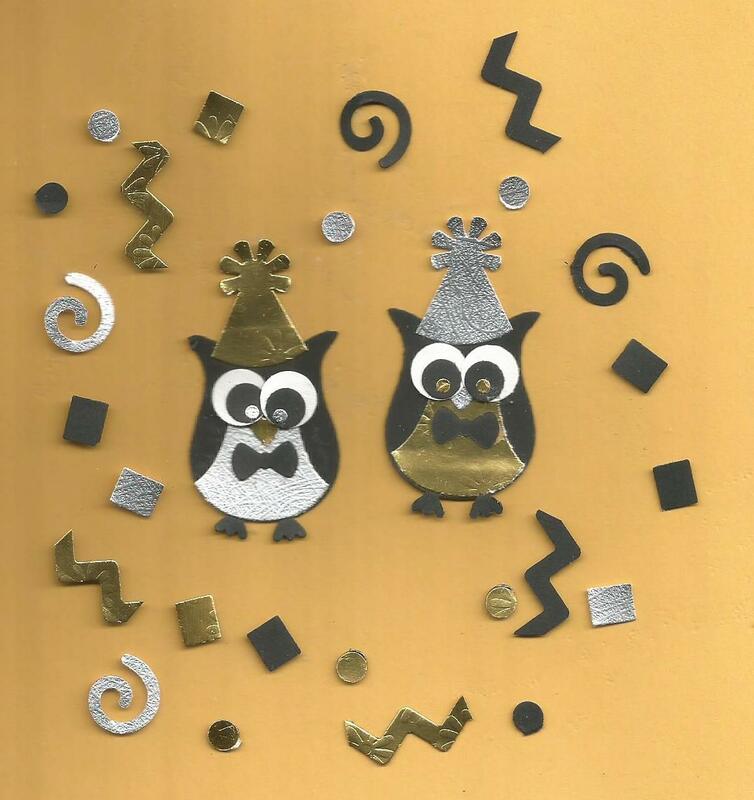 This card is as easy to make as it is cute. The only item you may need to practice on is the hat! Glue the white circles to the black circles allowing the black circles to peek out on one side. To make the nose trim the top of the orange folk heart with a circle punch. To make the scarf punch 2 arcs from green plaid cardstock then assemble the top and bottom snowballs sandwiching one of the arcs between them. Trim the arc as needed. Next use a Martha Stewart heart punch to “trim” the edges of the scarf. Glue the scarf tails to the snowman. Lastly glue together several of the small round punches together and let dry. Then glue them to the scarf as the “knot”. 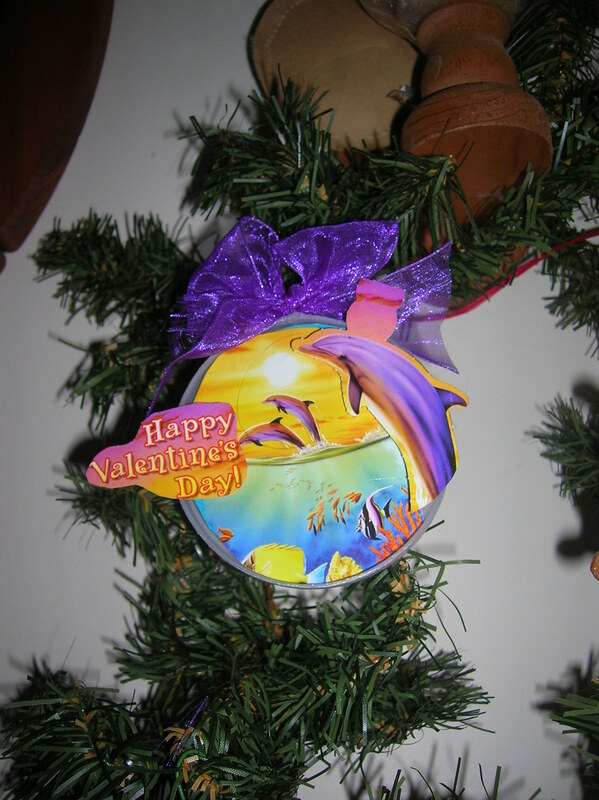 For your crafting enjoyment today here on Lisa’s Craft Blog I am presenting my Valentine ornaments. I put up a garland and a wreath before Christmas – mainly to have a place to photograph my handmade ornaments – BUT – I am going to keep them up all year to decorate for all holidays and seasons. So look for tons of seasonal tree & wreath project to come! 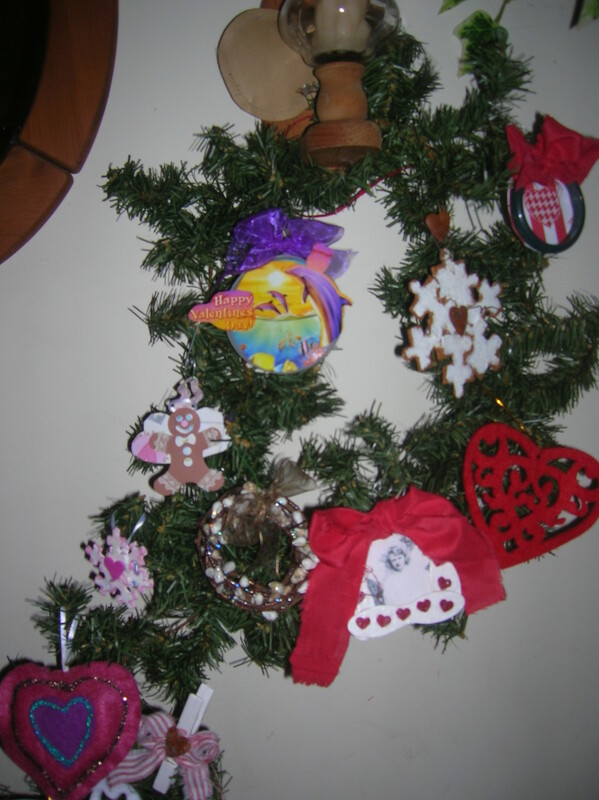 The photos below are of my Valentine Garland and Baking Wreath. 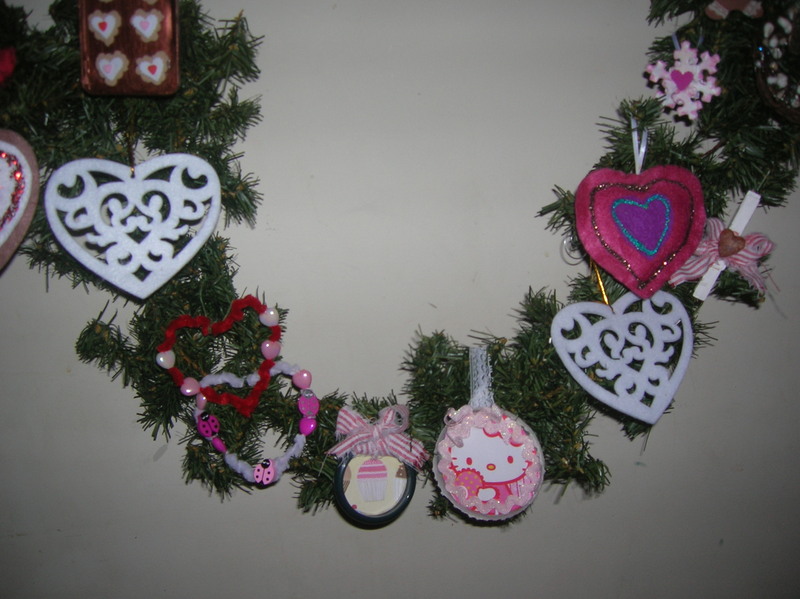 At the end of the post there are photos of each project and links to the tutorial for each of the ornaments pictured. 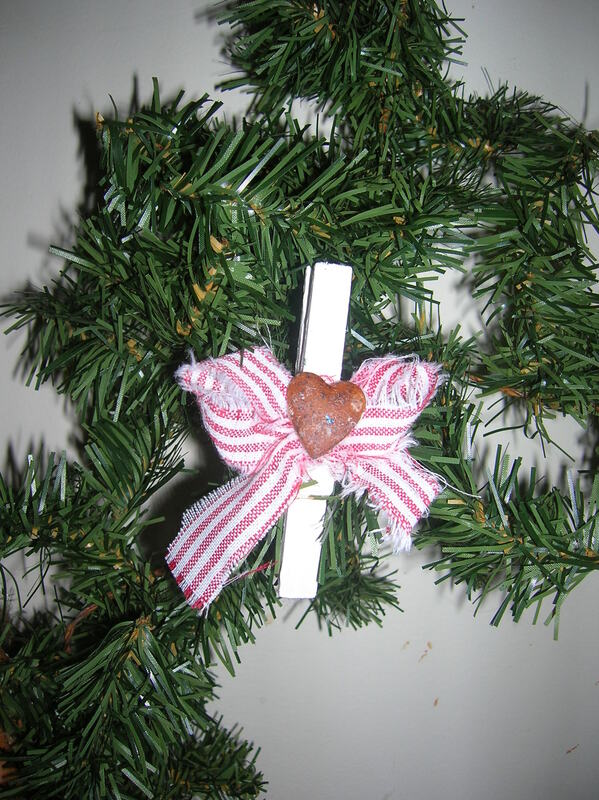 Whether you are making a garland or a wreath I hope you find something you can use. I’d love for you to visit my blog (https://buggalcrafts.wordpress.com) so let me tell you a little bit about what you will see when you visit. Like I said I “dabble” so you will find a wide variety of crafts (except for sewing, knitting, crochet, etc.) especially crafts for kids. I am in the process of a major undertaking: posting a series of tutorials & posts on crafty uses for cookie cutters. I have collected cookie cutter craft ideas & tips for around 30 years and have over 25 craft projects involving or alternative uses for cookie cutters to share with you. Most of the ideas do not originate from me (but I have put my own twist on them) so I hope you will find something NEW TO YOU! I did not keep track of where I found them as most were long before craft blogs – – – heck, they were before the internet (and yes, I am that old!). Also check out my board on Pinterest, “Ways to Use Cookie Cutters”. I have over 100 pins about using cookie cutters in crafts and food. If you have any cookie cutter craft ideas I’d love to hear about and see them. I would love to feature your project on my blog, giving you credit of course. Post links to your tutorial in the comment section or e-mail photos and instructions to me. I am toying with compiling all the ideas & tutorials into an e-book. I’d love to hear your thoughts on that. Is this something that would interest you? ONE LAST THING BEFORE YOU GO – THE GIVEAWAY! I am having a Valentine giveaway in conjunction with this guest host spot. All you need to do is visit my blog at the link above and leave a comment about which of my Valentine crafts you like the best! My granddaughter has picked a number to be the winner (no hints!). I will announce the winner on February 10, 2012 at 7:00 am. The winner will receive a small flat rate box filled to the gills with enough Valentine craft supplies to make six ornaments featured in this post from this post (scissors, glue, paint, etc. are not included). Please leave me a comment. They make me so happy. I read and answer all comments. 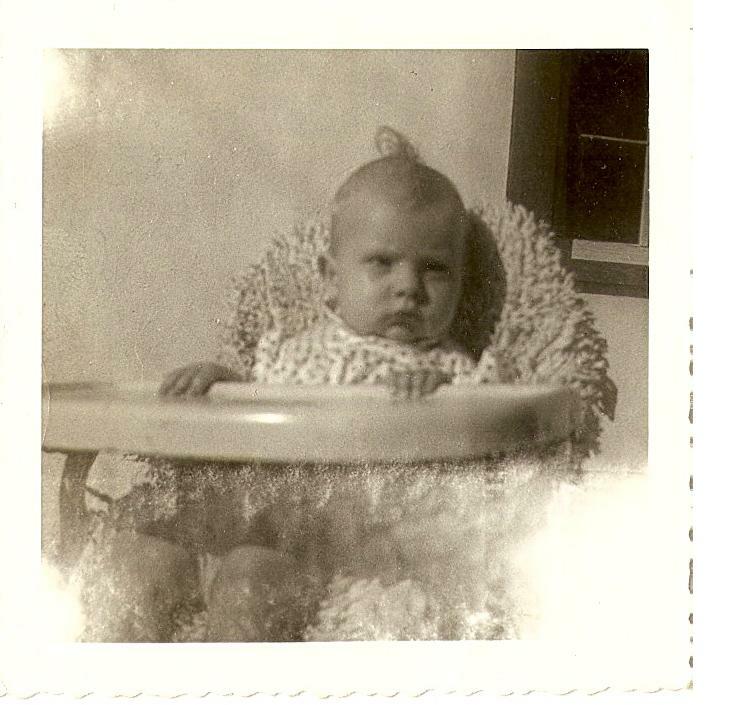 I’d also love to pay your blog a reciprocal visit. And thank you again Lisa for this opportunity to blog on your space. You are really great! 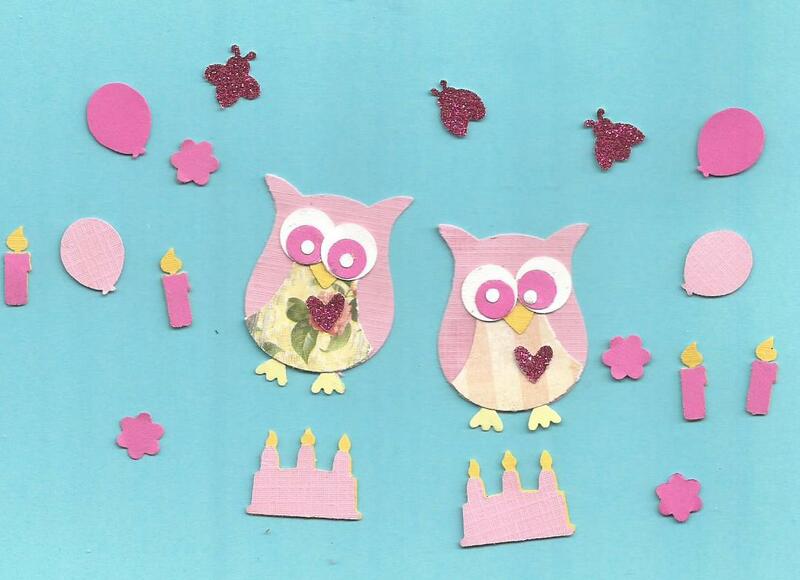 I’d like to dedicate these Valentine’s Day crafts to the memory of my mother. She has always been a tremendous inspiration to me. This simple little frame is as easy to make as it is cute. Glue the ice cream sticks together and paint. Later Mod Podge on heart punches. Last add your photo. I choose one of my mother in an angel costume. Add a red fabric bow for the perfect finishing touch! 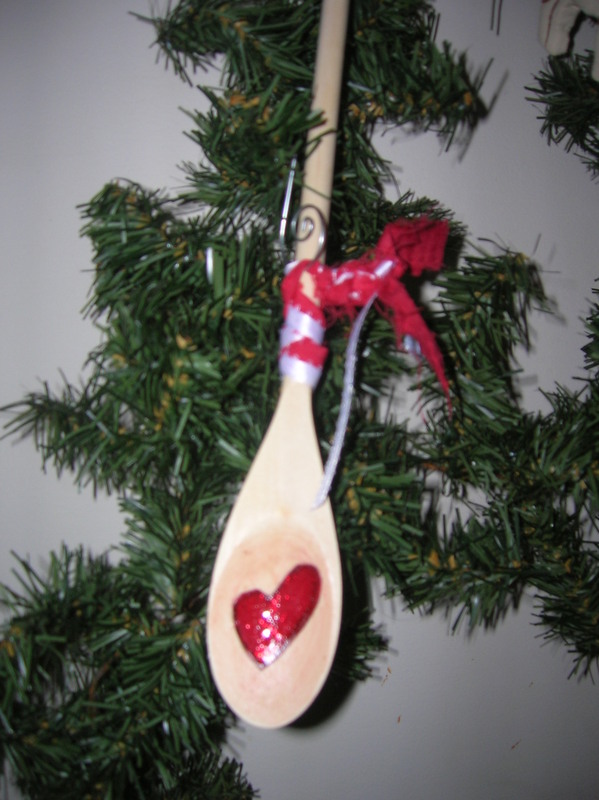 Photo 2: Wooden Valentine’s Spoon: I love wooden spoons both for cooking and crafting. 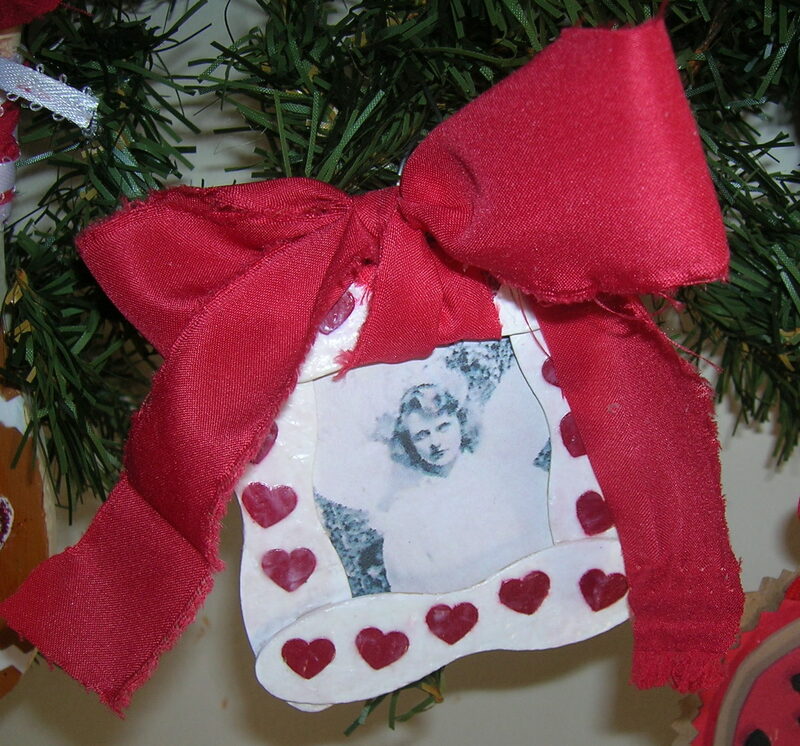 Simply Mod Podge on a heart or gingerbread punch. The spoon can also be painted any color you wish before you add the punch if desired. As the spoon has two sides, why not decorate each side in a different manner and then flip the spoon for a whole new look! For less than $1 for four, the price can’t be beat! 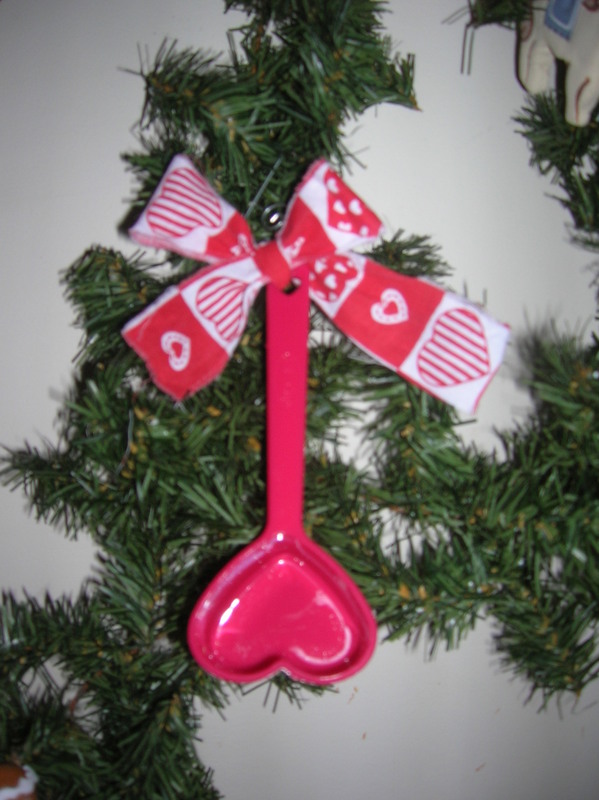 Photo 3: Heart Shaped Measuring Cup: This ornament is a simple as it is inexpensive! 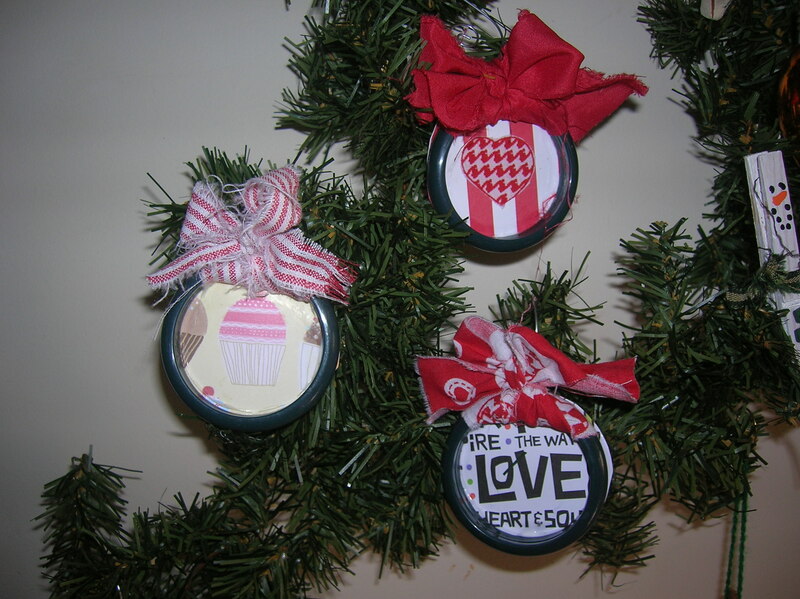 I bought a set of four heart shaped measuring cups from the local Dollar General for $1 and took them apart so with several strips of torn fabric to create ribbons I had four ornaments! 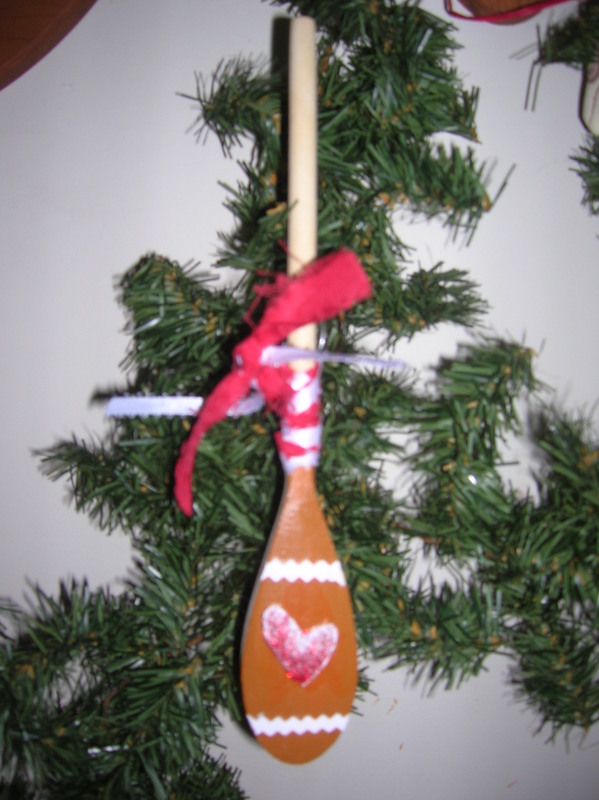 Photo 4: Gingerbread Angels: I just couldn’t put my new gingerbread away after Christmas, so I created these gingerbread angels to extend the use of my punch to Valentine’s Day. I found and fell in love with curtain rings last summer. There are just so many different ways to use them! And considering that shower curtain rings are around $1 for a dozen, quite an economical craft for large groups – like a church fair, etc. 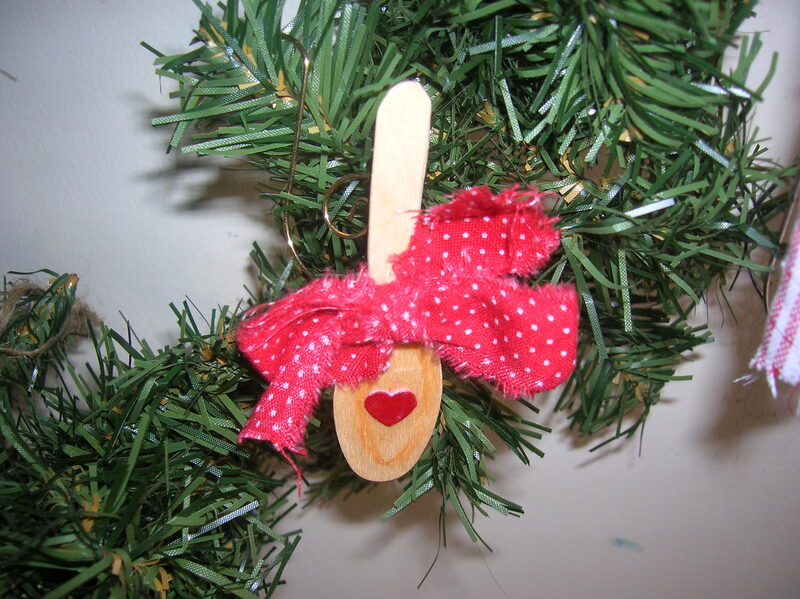 Photo 6: Mini Wooden Spoons: Simply cut the handle of a wooden ice cream spoon down to a slimmer line, Mod Podge on a heart punch and tie on a ribbon. 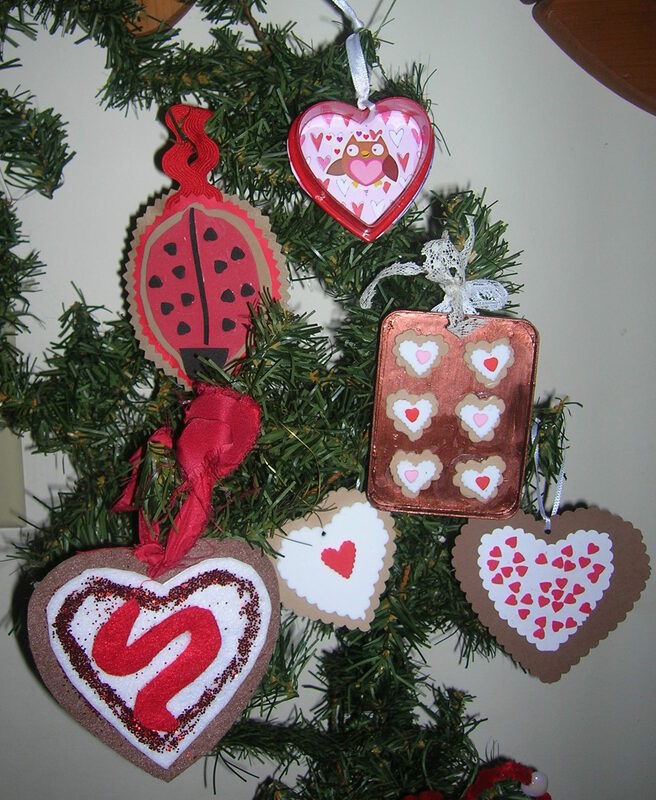 Photo 7: Rusty Heart Clothespins: Paint, glue on a bow and a metal heart, and clip on the tree – what could be easier? Or a magnet on the back if desired. There is no tutorial for this craft at this time. 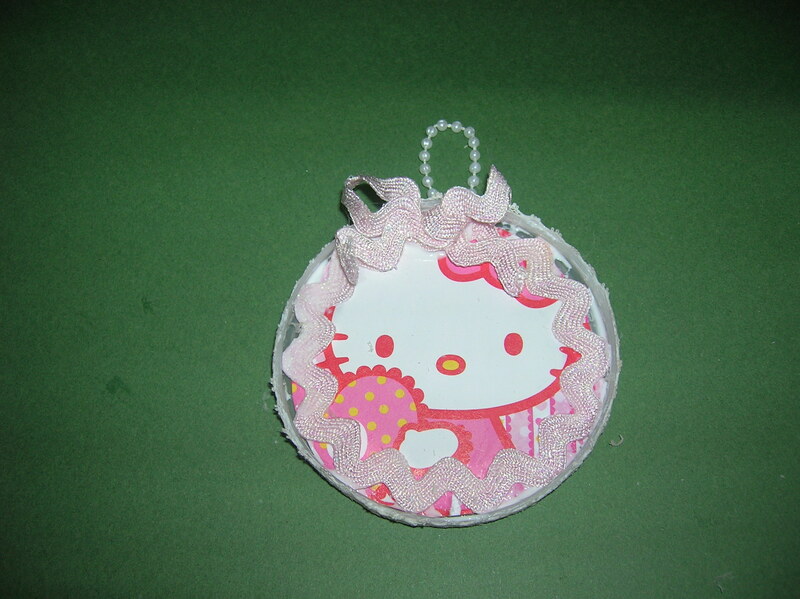 Photo 8: Recycled Valentine’s Card & Plastic Lid Ornaments: This is one of those “free” crafts we all love so much. Plus it gives you something to do with those leftover Valentine’s cards and Pringle’s lids. 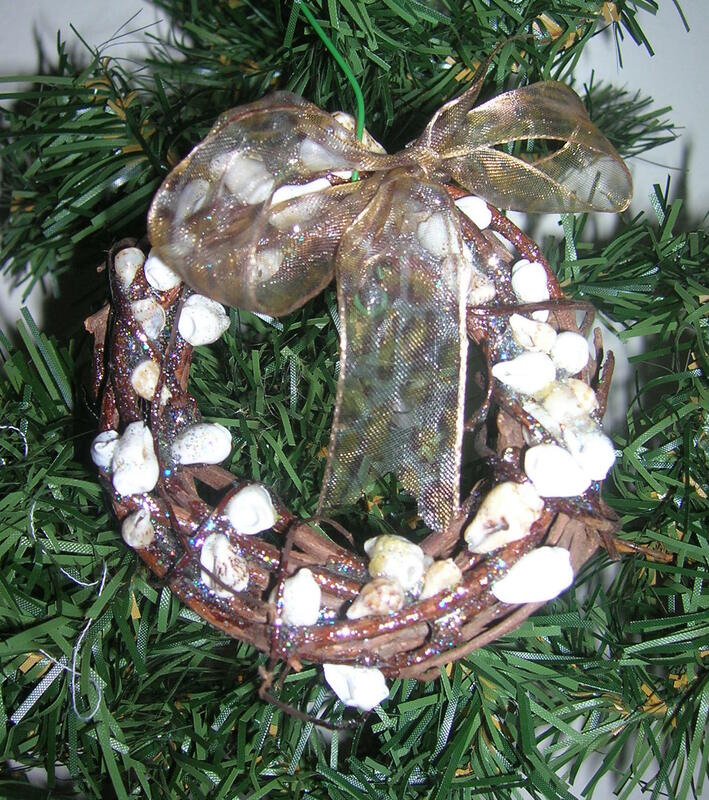 Photo 9: Mini Grapevine Wreath: This is a cute way to add a little easy homemade to your tree. Drizzle some glitter Mod Podge on a mini (or why not do a full size one) grapevine wreath and then attach tiny embellishments like shells, buttons, etc. 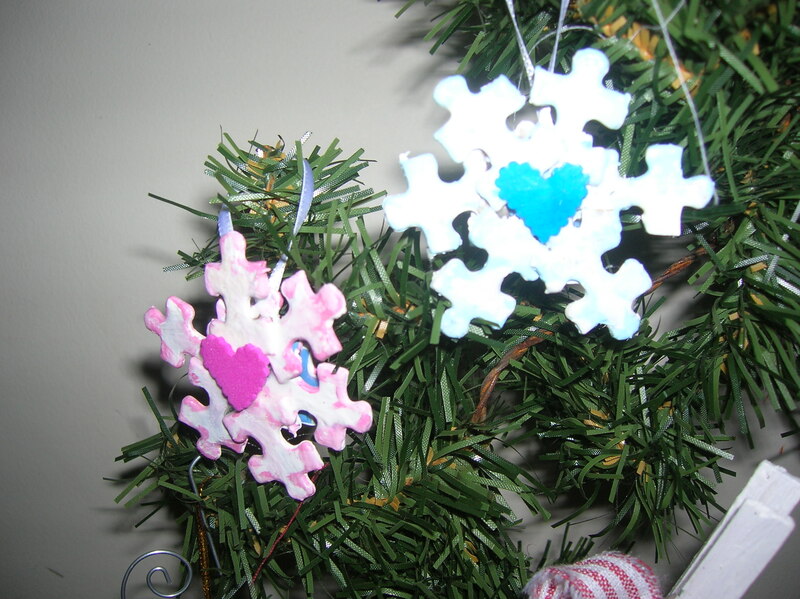 Photo 10: Pastel Puzzle Piece Snowflakes: This is my take on a craft by another blogger. I loved her idea so much that I came up with several versions of it! Who was that mysterious crafter? Lisa of course! 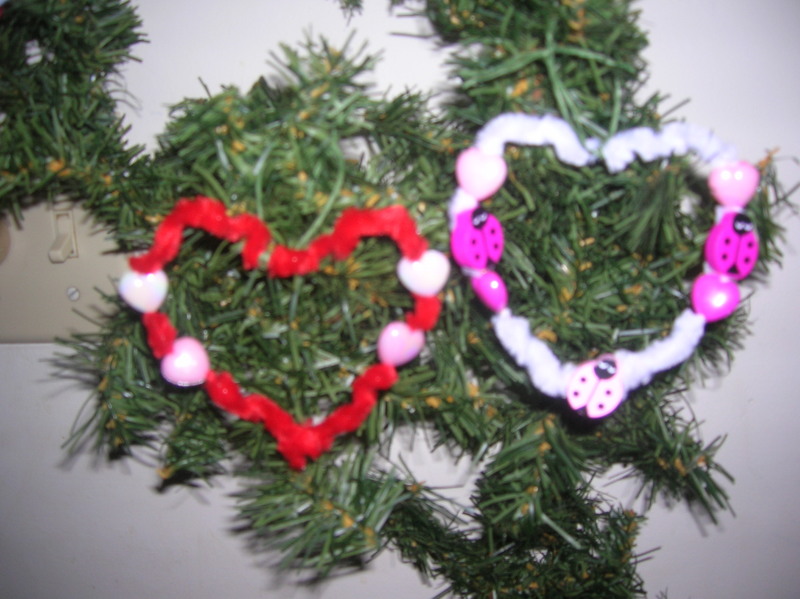 Photo 11: Chenille Stem Heart: This craft was featured on Dollar Store Crafts. This is a photo of my work. I altered the instructions a little. 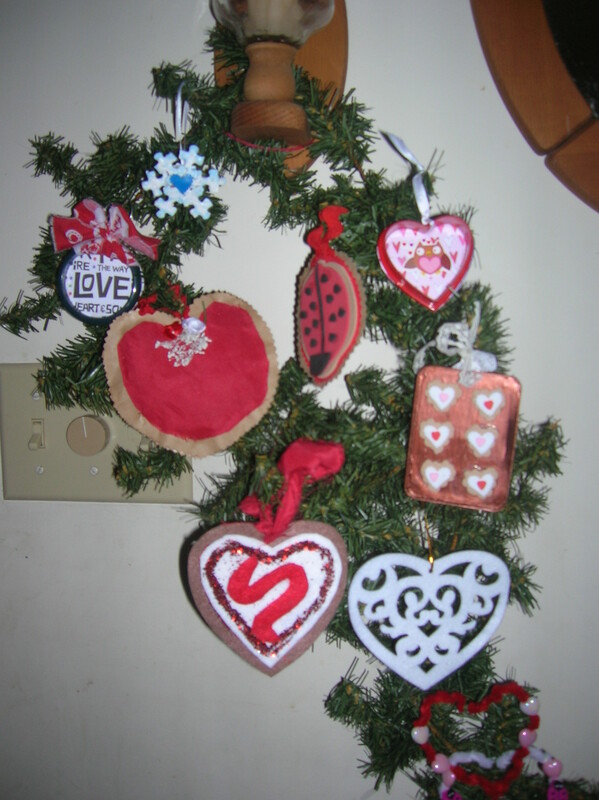 Photo 12: Wire & Wooden Bead Hearts: Cut a 14 inch piece (for an approximate 6 inch heart), bend into a rough heart shape then add wooden beads, mini spools of thread, buttons, etc. twist ends of heart together when wire is full. Twist the ends of the wire until the beads are taunt. Finish off the ends by inserting in a button shank or another bead. Photo 13: Valentine’s Versions Cookie Cutter Craft Ornaments: Pictured below is a photo gallery of my Valentine Cookie Cutter Crafts. Click on the link to go to a post with links to a tutorial for each craft. Stay tuned, there are still more Cookie Cutter Craft posts to come featuring Mardi Gras and Easter & Spring projects. Thank you again for reading my post. Again, I’d love to see you again and agian when I am “home” again! Please take the time to leave me a comment! I LOVE comments and will asnwer each and every one! 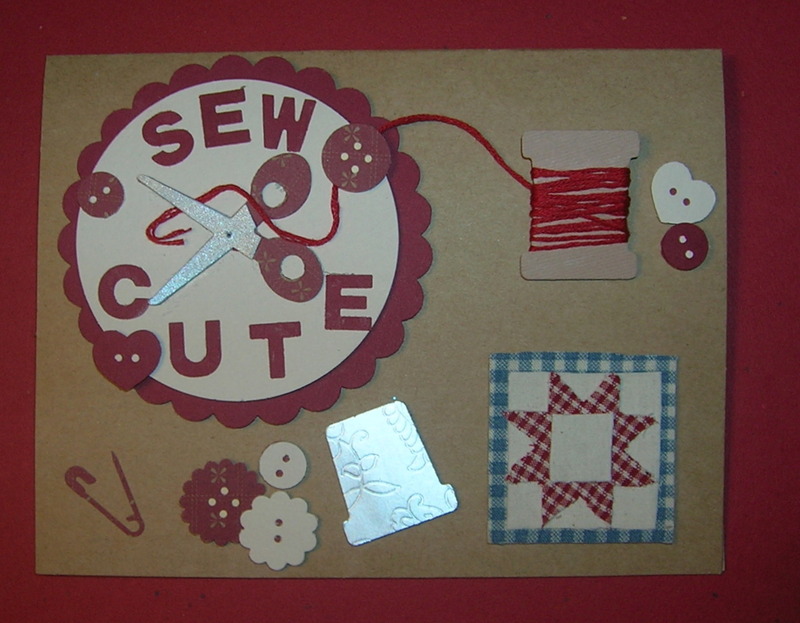 Here’s my latest handmade greeting card – and once again the theme is about something I HATE – sewing!!!! But I do love “pretend” sewing so here it is for you to view!!!! To make the quilt block I used a Fiskar’s Quilt Star punch and stacking square punches. First I punched the shapes and then attached a piece of fabric to each shape. Allow the glue to dry then cut the excess fabric off.